In my honest opinion a burger is about as gourmet as a hot dog and therefore when all these new age, “Hipster,” burger joints broke onto the foodie scene I was skeptical. Since I am a food network fanatic, which should be expected considering I write a food blog, I waited for the crowds to die down at Bobby Flay’s Burger Palace located in the new Bergen Town Center, and gave Mr. Flay’s burgers a try. Since that moment many months ago, I have been a fan of these boutique burger eateries, and I will try any and all of them that come to town. First to weigh in, is the Grandfather of these epicurean Burger peddlers, Fuddruckers. I am a loyal guy when it comes to food establishments and furthermore as Kat will tell you I am also quite nostalgic so I have to at least mention the first great burger franchise in the area. Even though Fuddruckers has been around well before I was chewing solids they still deliver a decent burger plus all the fixings. Fuddruckers advertises that they are the world’s greatest burger and although I am not on this band wagon anymore, there was a point in my life where I believed this slogan. 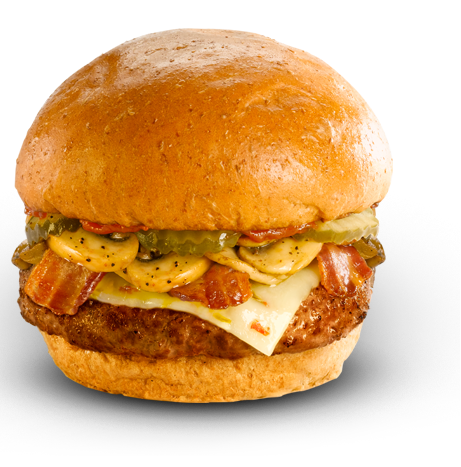 Fuddruckers has a pretty extensive menu which offers the Original Fudd in 1/3 pound $4.65, ½ pound $5.50, 2/3 pound $7.50, and 1 lb. $9.50, as well as some serious specialty burgers, for $1.75 more, like the Southwest which is topped with smokehouse bacon, guacamole and pepper jack cheese or for fans of exotic meats some of the Fuddruckers are even starting to offer Buffalo, Elk, and Wild Boar burgers in an attempt to compete with the new burger places that we will discuss a little later. Fuddruckers also offers something that I have not found at any of the other burger bistros, a self-serve toppings bar that allows the customer to add as much or as little of the dozens of toppings that Fudds offers. Additionally, Fuddruckers has a full service bar featuring beer, wine, and spirits which is a huge plus in the ever growing burger trade. Fuddruckers is by far the best burger place in this article for a family to go to grab a much needed burger when you just don’t have the energy to spark up the grill. The kids can much on some memory making meals while soaking in the kid-friendly atmosphere while you take a ride down memory lane with a Fuddrucker burger in one hand and a frosty beer in the other. Bobby Flay’s Burger Palace was the first of the new wave of Burger spots to break into the Bergen county market when the Bergen Town Center was renovated. As I stated earlier, I did not expect much from this establishment, but I was happily surprised. I was hesitant to believe that a world renowned chef like Bobby Flay could dive into the burger market and make a difference. 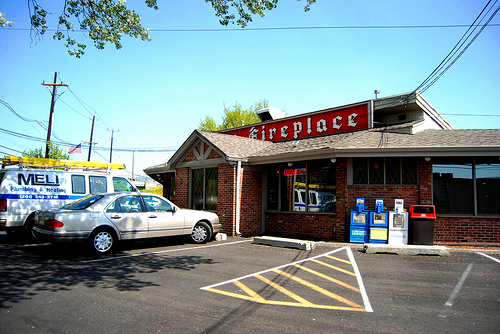 Mr. Flay apparently left a lasting impression on many Bergen County residents, including me, because his simple burger shop is still crowded every time I drive by. 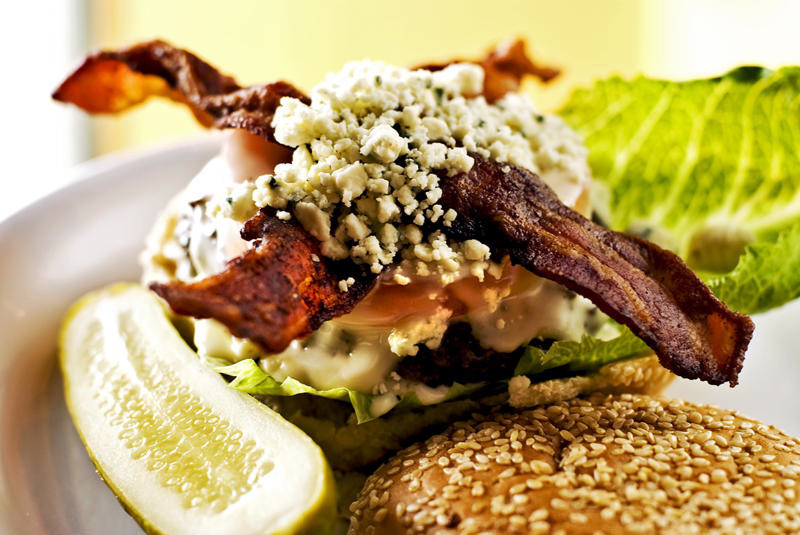 The Burger Palace offers a selection of high-end burgers such as the Bobby Blue Burger, topped with Blue Cheese, Bacon, Lettuce, and Tomato for $7.75, The Dallas Burger topped with spices, coleslaw, Monterey Jack cheese, BBQ sauce, and pickles for $7.75, or the L.A. Burger topped with avocado relish, watercress, cheddar cheese, and tomato for $7.75. Bobby Flay’s cooking style truly comes out in these creations, which are not overly seasoned, yet are simply bursting with flavor. One issue that I had with Mr. Flay’s offerings is that the burgers are sold separately from the fries and onion rings, which always irks me about these restaurants. In a perfect world I could order a meal that would combine a burger, a side, and a drink for one price instead of attempting to do math in my head to find out if I have enough cash on me for a true dinner, but alas our world is not perfect. Fortunately, however Bobby’s Beer Battered Onion Rings are! When John Ronald Reuel Tolkien wrote Lord of the Rings, he must have been envisioning these tasty deep fried morsels of yummy, which are a must try if you step into the Burger Palace. 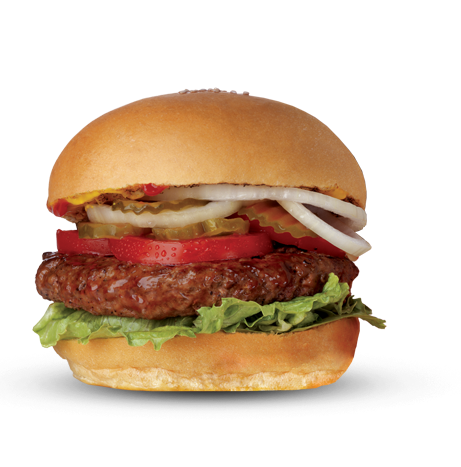 In summation, Bobby’s Burger Palace offers simple yet divine Hamburgers at a price that will make some blue collar foodies blush. Their seating style is strange to say the least and may have you sitting next to, or at the same table as, strangers so for the sanity of all who are trying to enjoy their food be aware of bringing your wee ones to join in the cowgasm that Bobby Flay is serving at his Burger Palace. Smashburger boasts that every Smashburger menu is specially crafted to reflect the tastes and flavors of your city or state, which I have to admit sounds very intriguing. Upon further review, it appears that only one burger on the menu seems to change as I searched through all of their menu’s online but the state specific specialty burgers almost makes me sad I went on a road trip before I knew about the Smash. Smashburger offers a classic burger of course, but let’s be honest if you are like me those burgers are merely on the menu for the unadventurous people we bring with us to try out a new foodie find. The specialty burgers are really where it is at which feature the New Jersey Burger is piled with applewood smoked bacon, blue cheese crumble, grilled onions, haystack onions, lettuce, tomato, and mayo on an onion bun for $7.19, the Spicy Baja consists of pepper jack cheese, guacamole, lettuce, tomato, onion, spicy chipotle mayo and fresh jalapeños on a spicy chipotle bun for $7.19, and of course a few more premade specialties. But Smash also offers the option to create your own craziness with your choice of buns, toppings, and cheeses, which permits you to craft seemingly endless burgers formations, as you strive to reach meatphoria. 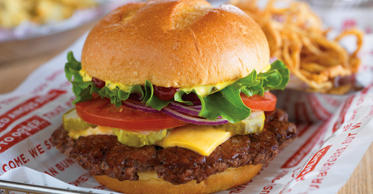 Smashburger also offers a plethora of side dishes that you can opt to add to your burger, for a nominal fee of course. They have SmashFries in original or sweet potato for $1.99, that are tossed with rosemary, olive-oil and garlic, and are a great addition to any of their burgers and my suggestion for your Burger’s Robin. They do offer Fried Pickles for $2.29, which I am usually Pepe Le Pew style in love with, which did not impress me. I felt that they were a tad over salted, and I just could not get into them. Where Bobby Flay’s burgers were simple, Smashburger’s burgers are complex. I feel it would take dozens of visit’s to this eatery to find and refine my go to burger, which for me is tremendous because I love to eat new and exciting meals, but for some I could see it being slightly overwhelming, I am looking in Kat’s direction as I write this sentence. Once you do finally order your burger concoction, I do not think you will be disappointed because everything I have eaten at Smash has been fantastic. Smash is slightly more kid friendly than Mr. Flay’s establishment but still not anything close to Fuddruckers. The last thing I feel I have to report, as a native New Jerseyan, is that I was slightly disappointed that the New Jersey Burger was lacking Taylor Ham, but I guess if Snooki does not eat it on the Jersey Shore then it must not exist. 4. Boom Burger: 375 W.Passaic St., Rochelle Park, NJ. When this place first started to make waves in the foodie realm, I thought nothing of it. I figured it was merely just another burger joint jumping on the bovine bandwagon. As the Boom craze picked up speed and word continued to spread, I decided to go check it out. After one visit to Boom, I figured out why everyone simply could not stop jib-jabbering about how incredible Boom Burger was. Their top-secret ingredient to their success is their booze. Don’t get me wrong their food is rather special too, but what separates Boom Burger from the ever growing crowd of chic burger spots is the fact that Boom Burger is firstly a colossal bar and secondly they have remarkable burgers. Boom Burger offers several specialty burgers that include the Boom Burger, which is described as an explosion of cheese in your mouth due to the fact that the cheese is on the inside of the Burger for $8.00, the Cuban which is topped with ham, Swiss cheese, pickles, mustard, and mayo for $7.00, the Breakfast Burger topped with Taylor Ham, Fried Egg, and American Cheese for $7.00, and a few other fancy looking burgers as well. Boom Burgers shtick with their burgers is that they are cooked to perfection every time, which means you cannot order them at any other temperature, which annoyed me slightly, but only because I am a control freak. Boom Burger also seems to be the only Burger Joint that uses Pat LaFrieda’s or “the master of meat’s” special burger blend, which I am apparently a fan of. Boom Burger offers a few sides to pair with their burgers which include French Fries, Sweet Potato Fries, and Parmesan & Rosemary Fries at a nominal fee yet again. They also offer a variety of bar style foods like Chicken Fingers, Chicken Wings, and Fried Calamari to name a few, which can be eaten as an appetizer or paired with your burger choice as well. If BoomBurger and SmashBurger had a blind taste test I would have a hard time telling their food apart and then I would go to BoomBurger to grab a beer and celebrate the contest. What I am trying to say here is that what this battle comes down to is the libations that Boom offers which Smash is lacking. Not only does Boom offer a respectable beer list but their insanely large signature drinks definitely inspire some wonderful conversations. Not to mention the fact that Boom has giant televisions strewn about the restaurant which are always showing all the premiere sporting events. 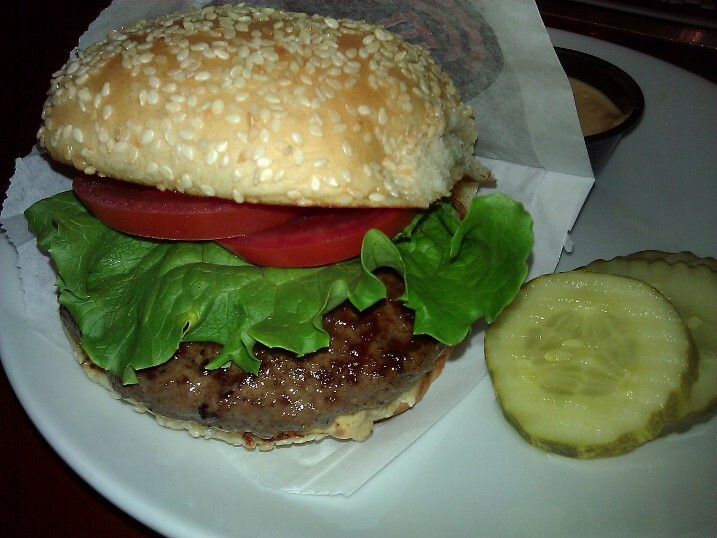 If you have children and want a good old fashioned hamburger Fuddruckers is the place for you and your family. If you are looking for a “gourmet” Burger and need to do some shopping but don’t mind cozying up to some strangers, Bobby’s Burger Palace is where you should go. If you want a burger that is smashingly good but don’t really want to have to deal with the cast of Jersey Shore taking JagerBombs at the table next to you, SmashBurger is your spot. If you want to wash a fantastic burger down with some beers and watch the baseball game while crazy twenty-somethings take body shots off one another, I will see you at BoomBurger. One day last week Kat and I were famished and looking for a cheap local spot to grab some food on the go. I reached for my trusty I-Phone and opened up my Urbanspoon application for guidance. For those who have not used the Urbanspoon application or the Urbanspoon website, it is a Foodie’s dream come true. Whenever you find yourself wondering where to eat, in a foreign place or right in your own backyard, you can turn to Urbanspoon for some much needed assistance. You have the option to browse Urbanspoon’s vast database of restaurants utilizing their many built-in filters, including but not limited to types of food, prices, hours of operation, and top picks. If you are feeling frisky you can always just shake your phone and the application will randomly chose a restaurant in your area for you to visit, I can’t tell you how many times this application has solved our restaurant choice arguments after a long day in the city. On this particular random weekday the Urbanspoon’s magic 8-ball like powers lead us to a local eatery named Juicy Platters located at 22-18 Broadway. Upon further review of the Urbanspoon Application’s profile of Juicy Platters, I found that they serve Greek, Mediterranean, and Middle Eastern fare and the average price for an entrée was listed as under $10. After a quick review of the menu, reading a few reviews online, and, of course, the okay from Kat we were in the car and on the way to Juicy Platters. Without truly knowing what to expect we ventured down Broadway looking for this new restaurant that we have never seen before on our travels up and down the commerce-laden strip that is Broadway in Fair Lawn. When we arrived, we saw that Juicy Platters is nothing more than a tiny store front in the plaza that used to house the Hyway Theater. This establishment is comprised of the main counter where the customer can place their order, a rather large kitchen and a small eat-in bar with five chairs. According to the aforementioned online reviews, Juicy Platters is known for their tzatziki-style white sauce that you can pour over your platter and chicken wings. Armed with this useful knowledge, Kat and I, ordered two Mixed Platters and an order of Super-Hot n’ Garlic wings. The total including the Vitamin Water we decided to split came out to $24.40, which we gladly paid and then grabbed two empty seats at the small eating area. As we waited for the food to arrive, we did some people watching and noticed that most of the clientele that was coming in and out of Juicy Platters were ordering their food to go. There were quite a few customers that picked up their orders while we were in the restaurant and all seemed to be repeat patrons, which usually is a good sign that a restaurant is doing something right. When our mixed platters arrived, the first thing we noticed was the generous portion size that was offered at Juicy Platters. Not only was there a huge amount of rice that filled the aluminum serving container but the mixed grill meat was damn near over flowing. Kat and I both drizzled the white sauce over the top of our mixed grill platter and each took a bite. With that first bite, Kat and I knew that we had stumbled upon something delightfully unexpected. Seconds after taking the first bite, Kat uttered a phrase that I cannot add to this review, but let’s just say I knew that she liked it. The meat was tender, juicy, and plentiful, while the sauce was tactfully seasoned to complement both the meat and the rice, and the vegetables were flawlessly cooked. Juicy Platters had not only shattered our expectations but done it at a price that is both honest and affordable. We savored each bite like it was the last as we slowly but surely made our way through our Mixed Platters. We were so overjoyed by this remarkable dish, that when the wings came out, neither of us attempted to even open the box that they were housed in. Finally, I was able to pull myself away from the Mixed Platter long enough to try one of the boneless wings that we had ordered. Sadly, I was unimpressed with the wings that Juicy Platters offered. The wings were not bad, but compared to the Mixed Platter they were nothing spectacular. The sauce was as advertised both spicy and full of garlicky goodness, and when dipped into the house white sauce they were respectable as far as boneless wings go. Before a final decision on Juicy Platter’s wings can be made I will have to try their bone-in variation which might be better. My suggestion as of now, is to skip the wings and double down on the Meat for your platter, not only will save a few bucks but you will be just as full, and twice as happy. After eating our share of the wings both Kat and I dove back into our main course and fell in love with Juicy Platters all over again. 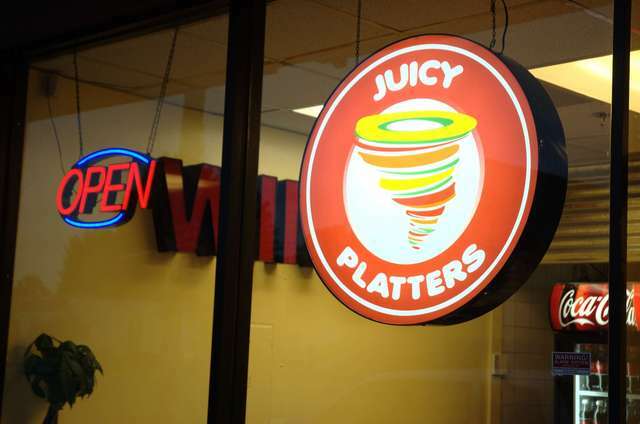 The combination of the amazing taste explosion and the low-low prices that they charge has earned Juicy Platters a spot in our regular rotation of fast food choices. Kat and I will definitely be returning to Juicy Platters again and again to try all of their offerings and we suggest that you do as well. On a side note, for all of the Vegetarian foodies in the area, Juicy Platters offers several vegetarian options that I have heard are just as memorable as their meat coma-inducing counterparts. In a world that treats vegetarians as it does lepers, this is a welcomed change for most of my friends that walk through life as herbivores. Being a foodie is all about experimentation and having no hesitations about trying innovative and exciting dishes. 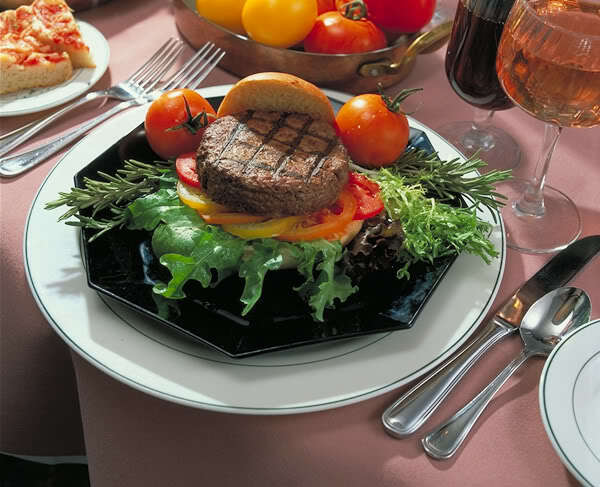 One cannot just eat the same food all the time and experience all that the world of fine cuisine has to offer. I also feel that although dining at top-notch restaurants can broaden your horizons in the realm of gastronomy, cooking your own foodie-inspired fare gives you a satisfaction that is unparalleled. Furthermore, being a male that loves food the way I do, and also enjoys cooking, the approaching summer means that I get to light the grill and start cooking with fire again. With Memorial Day around the corner, I thought that I would let the foodie community in a little secret that is tucked away in a seldom traveled area in Boonton, NJ. Although right off the highway, Route 287, this remarkable shop is somewhat off the beaten path in an industrial park off Myrtle Ave. 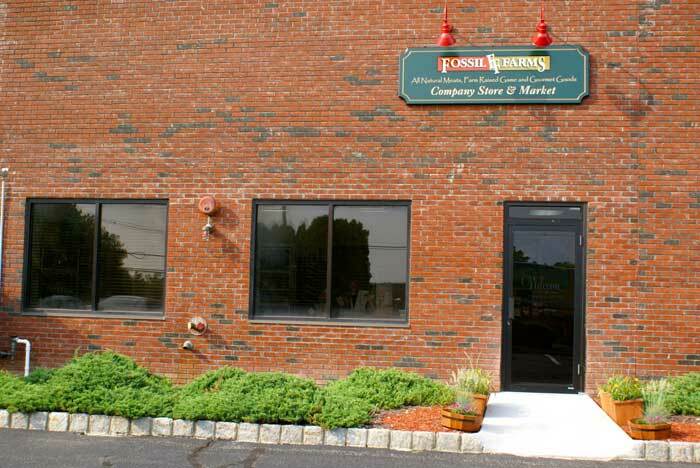 The clandestine market that I am referring to is named Fossil Farms, located at 81 Fulton Street, Boonton, NJ 07005, and they specialize in Exotic Meats. If you want your Memorial Day party to be talked about for years to come, this is the place you need to stop at to procure all of your holiday meats. I, for one, will be grilling Kobe Beef sliders made from the Kobe Beef Ground Meat that Fossil Farms offers as well as a veritable smorgasbord of insanely tasty sausages consisting of Venison Sausage with blueberries and merlot wine, Wild Boar Sausage with cranberries and apples, Pheasant Sausage with hazelnuts and cognac wine and Rabbit Sausage with Dijon mustard. I will, of course, be serving chicken as well as good old American hot dogs, for the less daring eaters in my clan, but I have a feeling the star of the show will be the outlandish sausages that will grace the holiday spread. 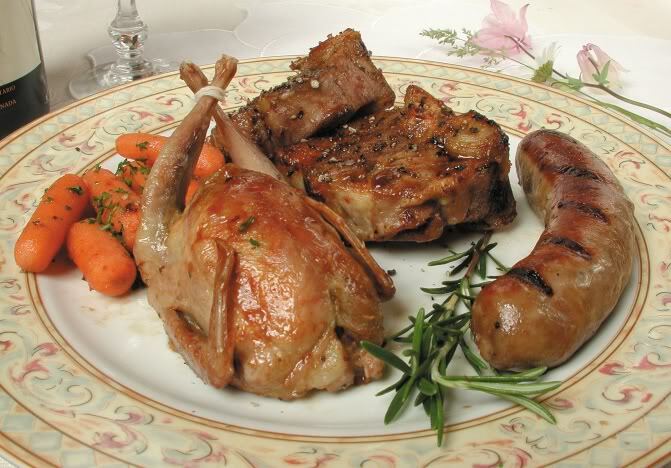 I prepared this Memorial Day menu knowing that my family is not full of foodies and they may shy away from the hyperexotic meats that Fossil Farms has to offer, but if your family is adventurous, the sky is the limit when it comes to bizarre eats in Boonton. Some of the outlandish eatables they offer include Alligator, Antelope, Elk, Emu Eggs, Kangaroo, Quail, Rattle Snake and Yak. This list is not by far a complete representation that this niche company offers. The complete list of their delectable foodie fare can be found on their website, where you can order from, complete with dry ice shipping. I, for one, would rather save the shipping cost and take the ride over to Boonton and spend my savings on more meat, but as they say, “to each his own,” I suppose. Due to the rarity of the food that is offered by Fossil Farms, you must be prepared for the prices when you shop there. As the title of my blog infers, I am usually frugal when it comes to any and all purchases I decide to make. With that said, one of the main things that I remember when purchasing food from Fossil Farms is that they are the only purveyors of this product in the area. It is not like I can go to ShopRite or Pathmark and pick up a pound of Wild Boar and be on my merry way. It is for this reason, that I can justify paying $10, $20, sometimes even $30 a pound for a delicacy that I have yet to attempt in my foodie career. I also feel, I must inform all of my readers that just because an item appears on the Fossil Farms website does not necessarily mean that the store has it in stock. The brick and mortar store for Fossil Farms is not a huge place and only has a few freezers that hold their product. They simple cannot carry every product they sell at this location, but I have been told they can and will do special orders if you do not see what you are looking for. If you do decide to venture up to Fossil Farms, I must insist that you drive a little bit further on Myrtle Avenue and visit the best liquor store in North Jersey, Liquor Outlet Wine Cellars, located at 289 Myrtle Avenue in Boonton. Believe me, nothing pairs better with a 12-ounce Elk Steak than a cold craft beer, and Liquor Outlet has an unsurpassed selection of craft brew. From the wall of single bottle craft specialties to endless coolers, full of six packs that offer hundreds of selections I can always find something special of this establishment. Not a beer person, no problem, their wine selection is out of control as well. Even better than their gigantic selection that appeases even the most finicky palate, is the fact that their prices simply cannot be beat. Do yourself a favor the next time you find yourself in the neighborhood of Myrtle Avenue in Boonton, stop in and see for yourself. Although, Boonton may be a drive for some, I assure you that everyone will remember your Memorial Day Party if you take the commute. 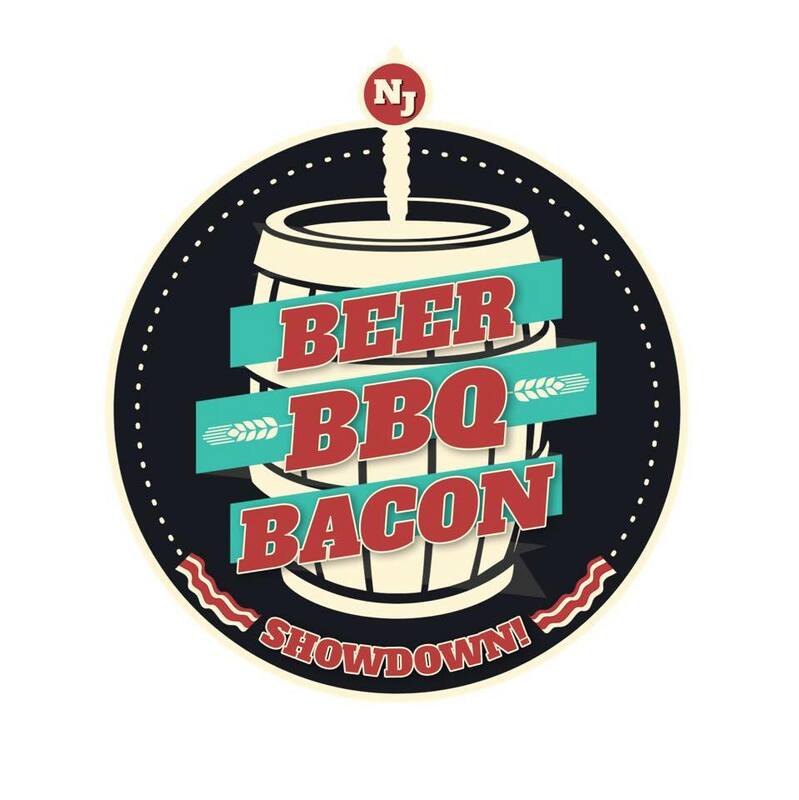 Not only can you pick up some of the most obscure meats your guests have ever heard of, but they can wash down the food with a selection of fine craft ales from around the globe. The combination of Fossil Farms and Liquor Outlet in Boonton will not disappoint the foodie that lives inside us all. I would not feel right publishing this article without mentioning the true reason this important holiday exists. Although, Memorial Day is now known for BBQ’s and family fun, this holiday is for honoring the fine men and women who ultimately gave their life defending our country. Whatever is on your agenda this Memorial Day, remember that if it was not for these brave young men and women the freedom to partake in these festivities might have been revoked years ago. The Twisted Elm Tavern Surprises the Blue Collar Foodie! For most of my life the corner of River Drive and River Road in Elmwood Park near Marcal was home to the same three establishments. The Riverview Sunoco, where seemingly every single teenager growing up in Elmwood Park worked at one point or another, including me; The Riverview East, which I discussed last week; and the Elmwood Barn, a small restaurant which was the stomping ground of the over 40 crowd in the area. Sadly, the Elmwood Barn closed its doors one night and those doors remained closed. I don’t know the exact details behind this but one day they were open and the next they were not, and for a long time the dilapidated building remained on the corner closed for business. That is until Mr. Jim Rogers decided that he would open his newest business venture at this location. Slowly but surely while passing by every day I could see the transformation occurring as the old went out and the new came in. Finally, a sign appeared claiming the old Barn was now to be The Twisted Elm Tavern. Being from the area and still living not 10 minutes away from the Twisted Elm Tavern, I was intrigued at the idea of a new watering hole opening up in my neck of the woods. I expected a small town bar with the same old draught beers and fried foods. My instincts were wrong about the Elm, and in this case that was a wonderful thing. 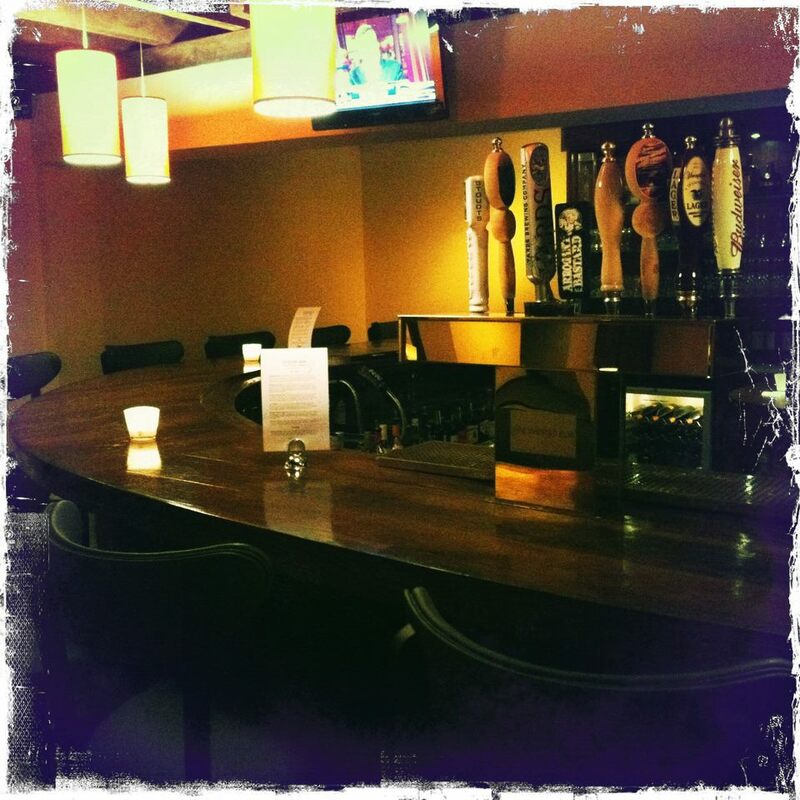 The Twisted Elm offers an ever changing variety of award winning Micro-Brews that would tantalize even the most refined beer connoisseur’s palate, and pairs this surprising beer menu with a unique artisan fare that is not expected in the suburban town of Elmwood Park. In addition to the great beer and food they also offer a lovely selection of wine and spirits that round out the menu nicely. Much to my surprise, I found that The Twisted Elm Tavern was in fact the area’s first Gastro Pub. If you are not from around this area, the idea of a Gastro Pub in a town like Elmwood Park is much like the idea of a hot girl that likes science fiction novels, you know they could exist but you never thought you would actually run into one. The thought of a Gastro Pub in my neighborhood sent chills down my back, but before this bar became my own, I had to do some further investigation. When you enter The Twisted Elm Tavern, the bar area is off to the left and is complete with a large chalkboard that the purveyor hand writes the beer selection on. This method is necessary due to the fact that the beer menu changes with every kicked keg. The bar itself is rather large and forms a U-shape around the bartender which can house quite a few people. If there are no bar stools available, which is becoming a problem more often that not as word spreads about the Twisted Elm throughout the area, there are a few tables to handle the over flow. Every time I have entered this establishment the beer choices have varied and I can always find something new and exciting to imbibe. The best part of their beer selection, is that not one of their taps has ever housed Coors Light or Budweiser, not that I mind these beers for a barbecue, but since I graduated college I have become quite a little beer snob, and the Twisted Elm is not helping cure this ailment. The Twisted Elm also offers a dining area that is located off to the right of the entrance that has quite a few tables. The menu is somewhat limited but what they do serve has never disappointed me. During my most recent trip, Kat and I dined on a few selections from the menu. We, of course, ordered a round of drinks to start out with and while we perused the menu, the waiter brought us a basket of bread with a fantastic seasoned butter spread. Kat ordered the Market Greens salad, $6.00, as an appetizer and the Meatball Sliders, $7.00, for her entrée. I went with the Three Cheese Bacon Mac and Cheese, $7.00, as an appetizer and the Beer Brewed Corned Beef Sandwich, $9.00, for my entrée. The Market Greens came out first, considering the Mac and Cheese takes about 30 minutes to cook. Kat thoroughly enjoyed her salad and was impressed by the freshness of the greens themselves. 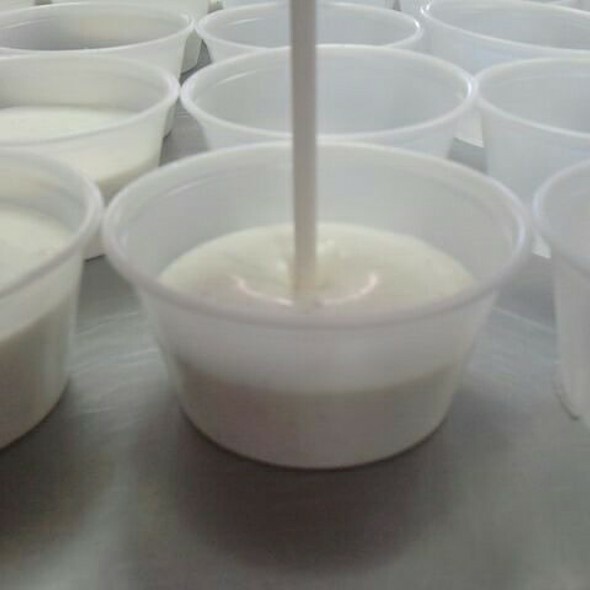 She also highly praised the, what appeared to be homemade, dressing. Shortly after she finished her salad the main course arrived and it both looked and smelled amazing. 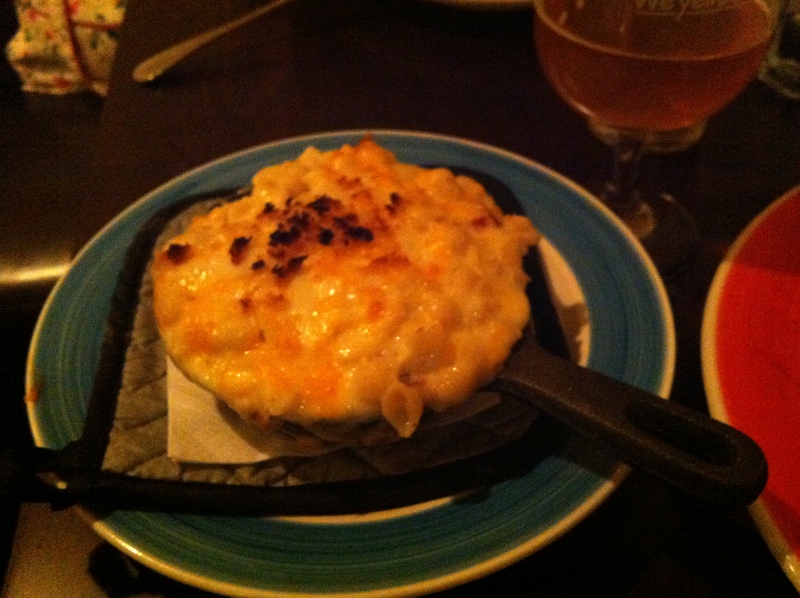 The Mac and Cheese was served in a small Cast Iron Skillet keeping the tiny shells warm and the cheese gooey. The Sandwich was overflowing with corned beef and was served with a side of grain mustard that was both plentiful and mouth watering. Kat’s meatball sliders appeared to be larger than the average sliders and looked very appetizing. All the food tasted amazing. The Mac and Cheese combined with the bacon was heavenly, as the bacon added just the right amount of smoked flavor to the cheese concoction. As for the sandwich, the grain mustard and marbled rye bread flirted with perfection as it mixed with the hefty portion of corned beef. 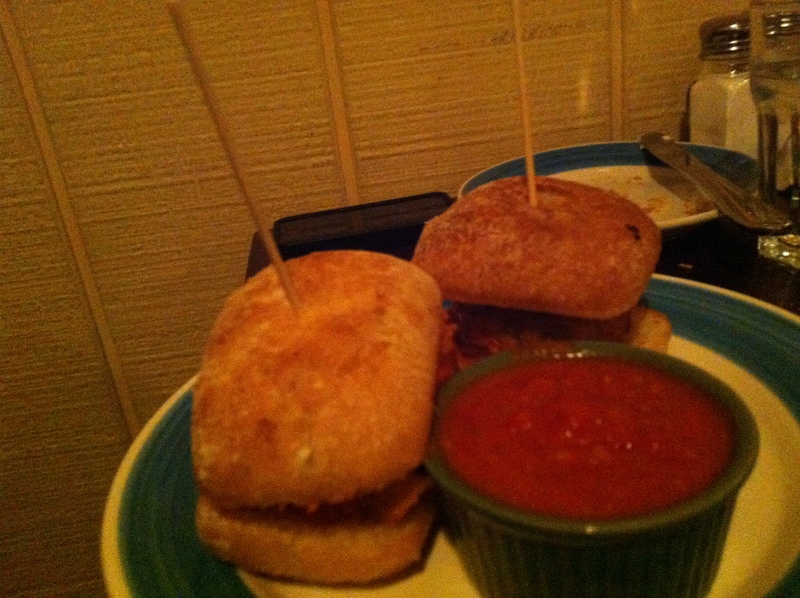 Kat’s meatball sliders packed a large flavor in a small sandwich and she seemed very satisfied with her selection. Another nice element to the Twisted Elm is that you can order all the food from the regular menu at the bar or on the Restaurant side. This comes in handy when you arrive at the bar hankering for the munchies but still want to hang out with your friends and watch the game. Overall, the Twisted Elm has done nothing but impress me since it has opened. The Owner of this establishment is a regular and can be seen nightly conversing with the patrons. The Beer list is always amazing featuring the likes of Stone Brewery, Dogfish Head, and Oskar Blues to name a few. On top of this the Foodie inspired menu has yet to leave me unfulfilled. 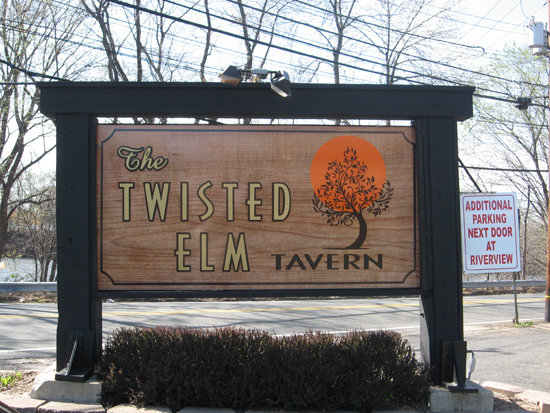 With that said, I would be remiss to not mention the pricing at the Twisted Elm Tavern which tends to scare off more than a few of the clientele that walk into this establishment. What must be understood, when dealing with craft beer, is that unlike the domestic watered down swill that is served at dive bars across the land, these beers are created in small batches by beer aficionados. These one of a-kind ales not only taste great but some of them pack the punch of 2 or 3 regular beers. The same basic principal must be afforded to the finely crafted food that the Twisted Elm serves on a daily basis. Bar food that included local fresh ingredients combined with great taste which is Chef prepared does not come along every day, so paying few extra bucks is not that terrible. If you are looking for a domestic draught beer with a side of Mozzarella Sticks for $4.99 the Twisted Elm Tavern might not be for you, but if you are a foodie with a side of the beer crazies like me this should be your new bar, I know it is mine! 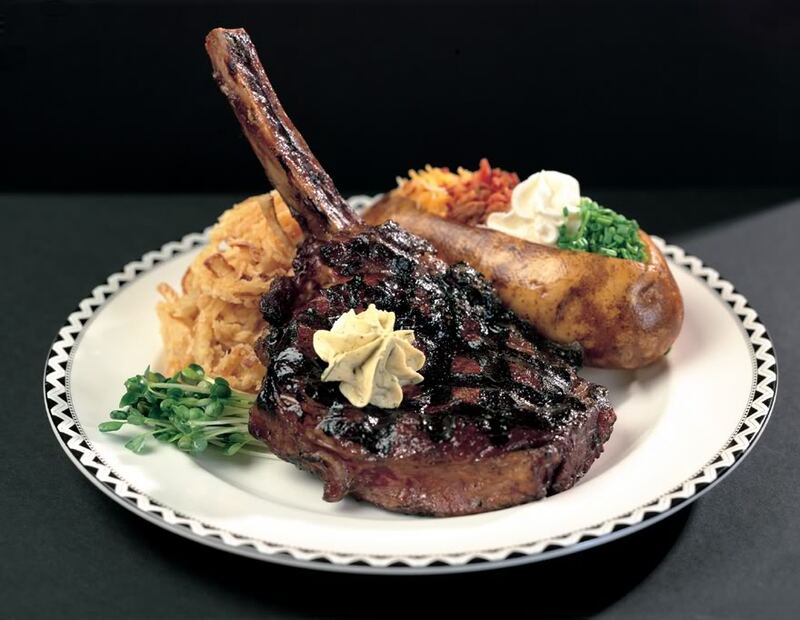 Almost every state or region is associated with some type of specialty dish that they can call their own. These foods spawn dozens if not hundreds of restaurants that boast the best blank in town, which causes crazed fans to damn near kill each other. Philadelphians quarrel over cheese steaks; Marylanders dig their claws into each other over crabs, Texans try to slaughter each other over their steaks, New Yorkers hem and haw about their Pizza Pies, and of course New Jerseyans berate each other over their beloved Hot Dogs. As the warm weather approaches and the brown drab tree limbs left behind by the coldness of the winter begin to fill in with an inviting shade of green, my mind begins to wander. I think of Baseball and my beloved Mets, I attempt to decide where I want to go hiking this year, and of course most of all I salivate at the thought of all the great foods associated with nice weather. For me the impending climate shift means a multitude of BBQs with friends and family complete with Hamburgers, Ribs, Chicken, various salads, and New Jersey’s favorite red headed step-child, the Hot Dog. In order to prepare for the upcoming assault of smoked and grilled protein I decided throw a couple of briquettes on the fire that is the debate of who sells the BEST DOG IN TOWN. I for one cannot be impartial when discussing this topic. I am a Rutt’s Hut fanatic and no amount of debate can change this. 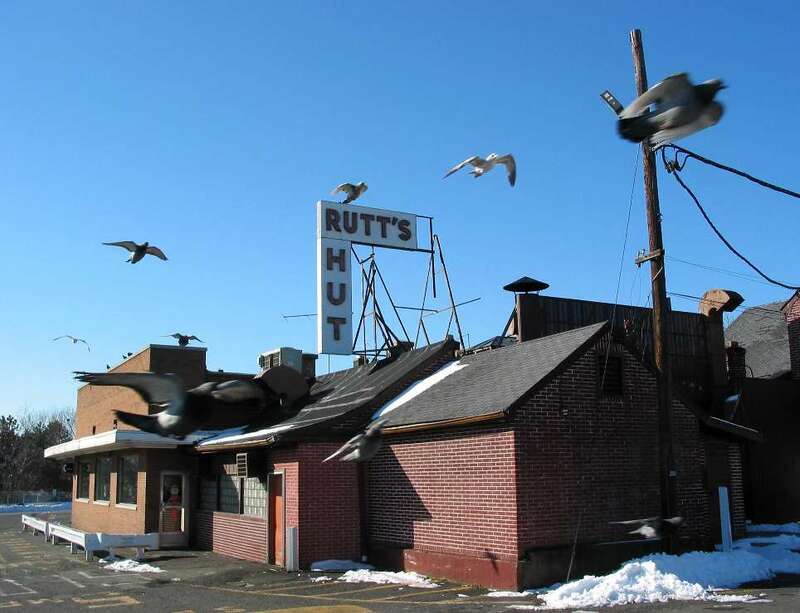 Rutt’s Hut, is located at 417 River Road, in Clifton NJ. I cannot truly remember the first time I took a bite of my first Ripper — this is what they call their deep fried hot dogs — but ever since that day I have been hooked, like zombies to brains. Rutt’s Hut is by no means the fanciest or prettiest restaurant in town, I think it’s held up by the years of deep fried oil that coats the walls, but that is just part of the charm. Like all things in life, fond memories can sway ones opinions and with Rutt’s I believe this may be the case for me. My grandfather brought me to Rutt’s Hutt on special occasions; money was tight in those days, and we would order a pair of rippers together. 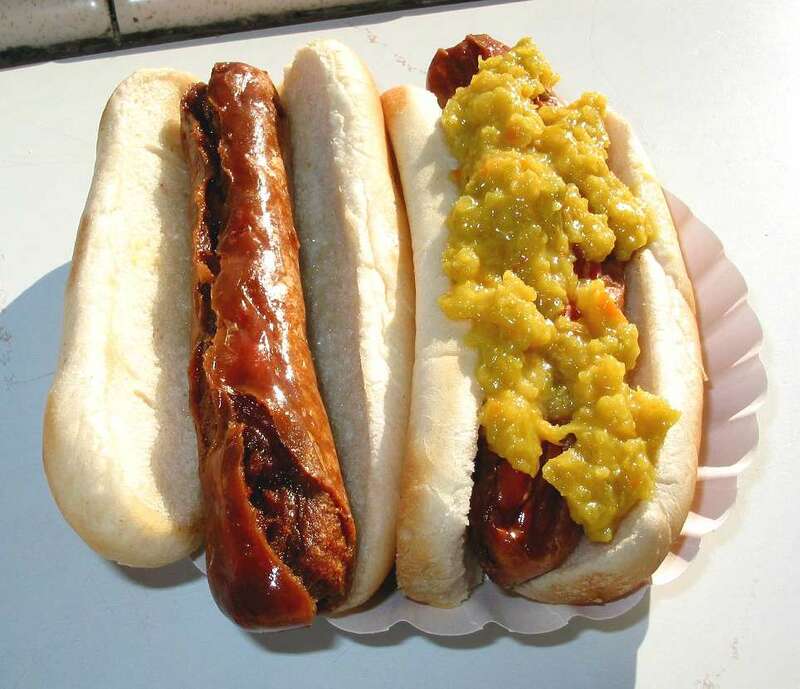 To this day when I bite into the crispy skin of one of their dogs covered in their famous mustard relish, a must try, I can remember those simpler times. As with most Jersey-born Hot Dog fanatics, we all had back up joints. Sometimes driving all the way to Clifton was not an option, other times instead of a plain dog you wanted a Texas Wiener, a hot dog with Chilli Sauce, Mustard, and Onions. For me and my family when the latter craving struck, there was only one place to venture to, Johnny and Hanges which used to be located in Paterson and which now can be found in Fair Lawn, at 23-20 Maple Avenue. Johnny and Hanges Texas Hot Dogs are still good but the original recipe, which was lost when the new owners bought the name in 1999, was the stuff that dreams are made of. Nothing to this day — and I have searched — has compared to the amazing Texas Hot Dog of Ye’ Olde Johnny and Hanges. With that said, nostalgia and a close but no cigar attempt to reproduce this amazing Texas Sauce, has kept me going to Johnny and Hanges since they reopened. The best Texas Dog on the market today in Kat’s — my lovely wife who until she moved to North Jersey did not even know what a Texas Hot Dog was thanks to her South Jersey roots — opinion resides in Paramus, NJ at the Fireplace Restaurant, located at 718 Route 17 North. Now as I stated earlier, fond memories may skew certain opinions and since not only was this Kat’s first experience with a Texas Wiener (That’s what she said), but we also worked our way through college serving these fine dogs to thousands of Bergen County residents. I must admit though the Texas Hot Dog that the Fireplace serves is among the finest in the area. The combination of the thick homemade sauce, spicy mustard and fresh onions all on top of a quality grilled hot dog does leave you wanting just one more for the road. Every now again we like to take a walk down memory lane at the Fireplace after a long day of shopping at one of the 25 malls located in Paramus. While on the topic of Texas Wieners, I would be remiss to not mention, The Hot Grill, located at 669 Lexington Avenue in Clifton, NJ. The Hot Grill and Rutt’s Hut are like the New York Yankees and the New York Mets, cross town rivals through and through. 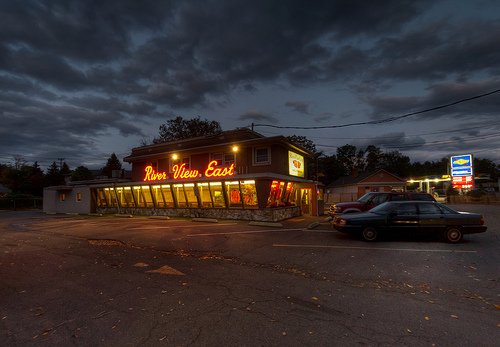 There are a few things that are bound to start an argument with your friends, discussing religion, politics, or in this area the great Hot Grill Versus Rutt’s Hut feud. I for one believe that they offer two slightly different variations of the classic New Jersey Hot Dog, but others seem to think that liking both establishments is nothing short of heresy. The choice is simple, if I want a Texas Wiener I go to Hot Grill, seeing as Rutt’s does not serve a true Texas, but if I want a plain old hot dog, as I mentioned before, the Hut is the only place for me. With that said, the Hot Grill serves up a great Texas Wiener and you can get these wonderful treats until 2 a.m. on Friday and Saturday or 1 a.m. every other night of the week. Believe me nothing is better than ending a good summer night by celebrating the early morning hours with a few Texas Hot Dogs at the iconic Hot Grill. Since I grew up in Elmwood Park, I would be thrown out of the guild if I did not bring up Elmwood Park’s famous River View East. Now, I for one am not a huge fan of their Texas Wieners. I am going to get punched for that sentence by at least three people so I hope you all enjoy my honesty, but they are not bad either. Each place I discussed has brought something unique to the table: Rutt’s deep fries, The Fire Place’s chunky sauce, the Grill’s late hours, Johnny and Hanges’ rich history. But River View does not really excel in any category. With that said, River View East does not fail at anything either. It is the difference between the student that gets all A’s in Math but C’s in English and the student that gets straight B’s. River View is the straight B student that you can be proud of Elmwood. Something to keep in mind when dining at any of these establishments is that they all have their own languages and subtle nuances that make them memorable. Don’t just walk in grab a dog to go and walk out if you have never been before. Have a seat or in some places take a spot at the counter and enjoy the history these eateries ooze. From the barker at the counter, who will contort your order into some secret code that only the true regulars and the cooks can understand, to the pictures on the walls, these restaurants tell the stories of each and every city they are located in the only way they know how, through tradition. And remember a true foodie can appreciate the finest of foods as well as the arses and elbows of the food world, so go have a hot dog and welcome summer in a true New Jersey fashion! 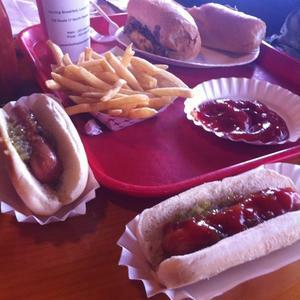 These are merely a few of my favorite hot dog purveyors in Northern New Jersey. Before you delete me as your Facebook friend for not mentioning your stomping ground, post a comment about your favorite place. Upon discussing this article with a few of my friends, I already caught a rash of crap for not including a few places such Jimmy Buff’s, located at 60 Washington Street in West Orange, and Libby’s, located at 98 McBride Avenue in Paterson, NJ. Although I have never been to either of these popular Hot Dog spots I have been told great things and they have been added to my list of places to venture to. This week, I have decided to discuss the fine art of coupon dining. Some restaurants that are trying to drum up new business will partner up with sites like Groupon.com or LivingSocial.Com and offer deals that will assist the Blue Collar Foodie in us all to afford their somewhat expensive cuisine. I am a member of both of these sites and get regular updates of the daily deals sent to my e-mail account. This way I never have to think about signing on to check what they are offering. These sites not only deal with restaurants but all sorts of local businesses that save you money on a regular basis. While perusing Facebook one day, I noticed that my sister had just claimed a fantastic deal on LivingSocial.com for $50.00 towards food and drink for The Village Grille in Waldwick, NJ for half price. Since The Village Grille had been recommended to me on several occasions, I jumped at the chance to score this deal. Within minutes my transaction was complete and navigating the site’s online purchase component was effortless. I had to wait a day or two for the deal to expire on the website in order to receive my certificate which was sent via e-mail, but once the mail was delivered it was easy to print. With my coupon in hand, Kat and I made our way to The Village Grille with a sense of anticipatory shame that can only be felt when one is going to use a coupon at an establishment that is considered, above that sort of penny pinching. As we walked into the restaurant, we were pleasantly surprised, we had expected a pretentious stuffy atmosphere, for some reason, but instead got a hometown tavern vibe. The exquisite brick and highly detailed wood work gave off the sense that we were dining in a mid-century cottage house. The warm and mood-enhancing lighting that was provided by the Tiffany-style lights that elegantly hang above each table only added to the quaint feel of this eatery. The shame of coupon dining suddenly began to vanish and after our server approached the table and informed us discreetly that he would deal with the coupon after the meal, it was all but gone. 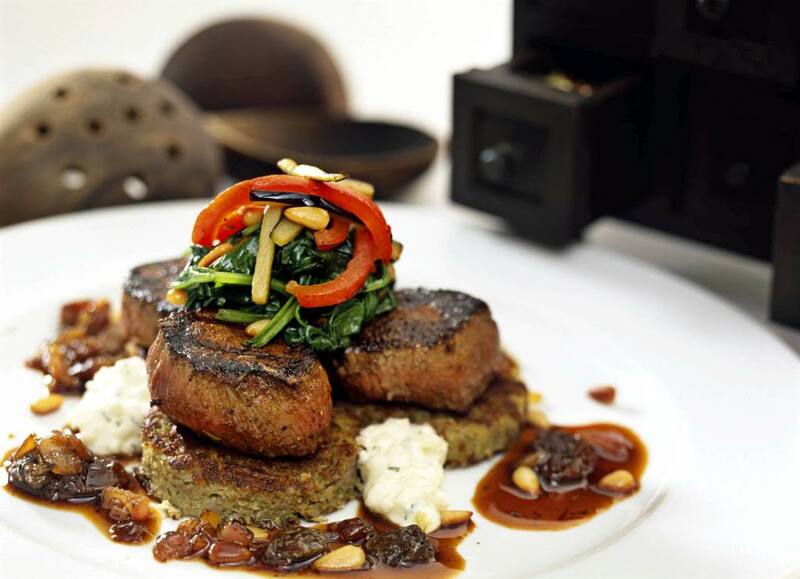 The menu that The Village Grille offers is not only eclectic but also extensive. They offer mostly American fare but dabble in the exotic as well, like Mediterranean Flat Bread, Asian-inspired salads and a variety of tempting mussel dishes. It took Kat and I quite some time to decide what we would be dining on. While we were analyzing the menu, we munched on the fresh bread and butter that were laid out on our table and imbibed a much needed cocktail. 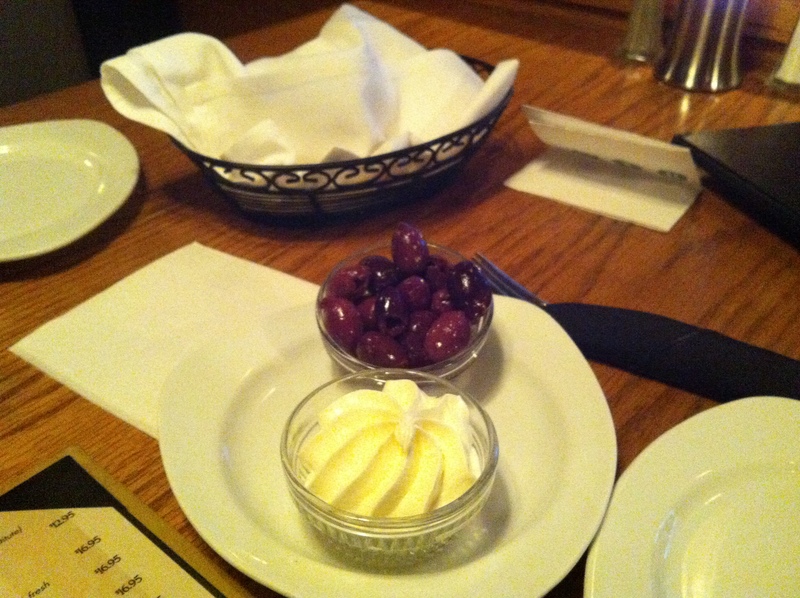 The Village Grille also offered seasoned olive oil that we could dip the bread in and a small bowl of olives as a welcomed addition. Kat and I eventually came to a consensus on an appetizer and chose our entrées as well. 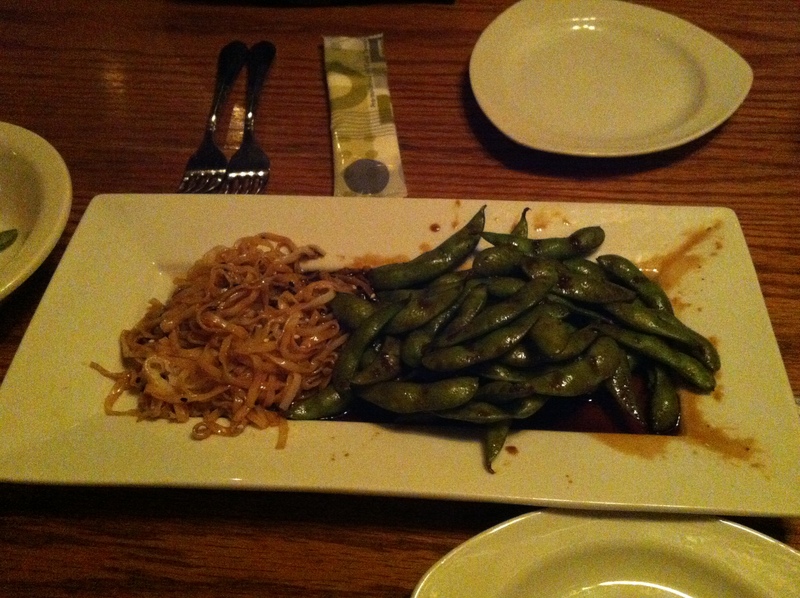 We ordered the Edamame appetizer that was described as, steamed soy beans in their pods tossed with garlic ginger teriyaki sauce & served with cold sesame noodles for $7.95. I am not usually an appetizer type of person, because I do not like to fill up before the meal, but Kat literally said she had a dream about this dish after reading the description, and I was unable to deny her the satisfaction of living out this subliminal food affair. 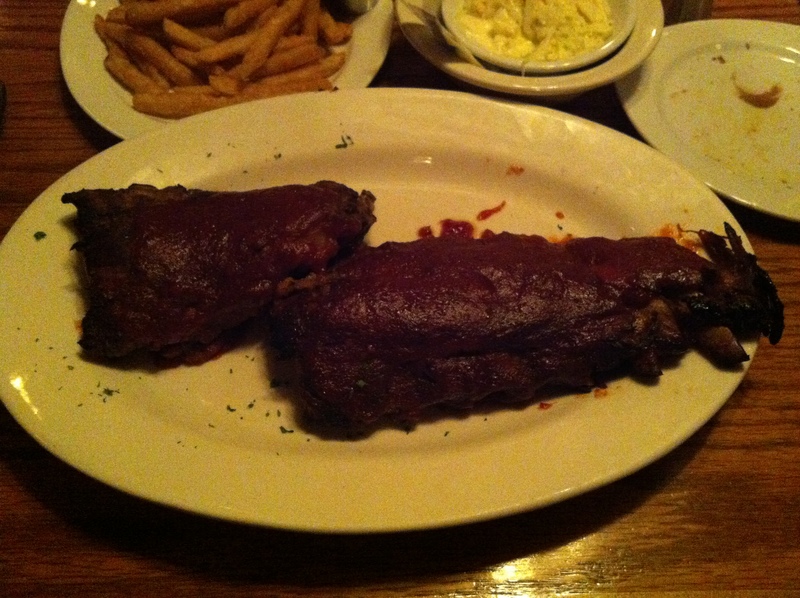 For my main course, I could not say no to the BBQ Ribs for $21.95, which was described as; tender & tasty fall off the bone ribs served with French fries & coleslaw. Kat decided on the Pork Chops for $18.95, which the menu declared were tender chops grilled or blackened and served with mashed potatoes, mixed vegetable and a delicious homemade chunky apple cranberry sauce. After ordering, we were able to enjoy the home-like ambiance of The Village Grille and awaited the delivery of Kat’s dream while discussing our weekend plans. The Edamame appeared and smelled wonderfully salty. I have always had my Edamame with a slight sprinkle of Sea Salt, but I never thought of using Soy Sauce to add the hint of seasoning they need. The addition of the ginger was extremely appetizing and brought the entire dish together. Kat was disappointed by the side of noodles that were served with this dish, but we decided that was due to the fact that they were not hot or cold, as advertised, but lukewarm. All in all, we enjoyed the dish, and I learned that adding soy sauce to my Edamame instead of salt is a superb idea. After the Edamame plate was cleared, our salad’s arrived. Kat and I are huge salad fans — we never like to eat a meal without the addition of at least a small salad. Some of our biggest complaints of dining at high end restaurants is the lack of the salad course, or the expectation that we will pay $10.00 extra for a simple house salad. Although there was nothing really special about the salad The Village Grille offered, or so we thought, it was a nice addition to the meal. We both ordered the Balsamic dressing and assumed it would be the standard store bought, bulk dressing that most restaurants offer for their house salad, but this was no ordinary dressing. It had a very complex flavor that did not overpower the taste of the salad, which transformed this ordinary salad offering into an extraordinary intermediate course. With the appetizer and salads defeated, the main event made its way to our table. Both of our plates had an aroma that started my mouth watering. The fact that we were coupon dining made me feel that our portions would somehow be affected, but this was not the case. Our plates were full to the brim with pork and all the fixings. As we dug into our food, I let out a chuckle, as I went to pick up my first rib, and the meat literally fell off the bone. I still don’t know how the Chefs were able to place my rack of ribs on my plate without the meat jumping off the bones as it did when I attempted to pick it up. Not only were the ribs super tender but they were Über tasty, due to the amazing barbecue sauce that was liberally slathered upon them. I was then fortunate enough to try Kat’s pork chops, and I was very happy with them too. 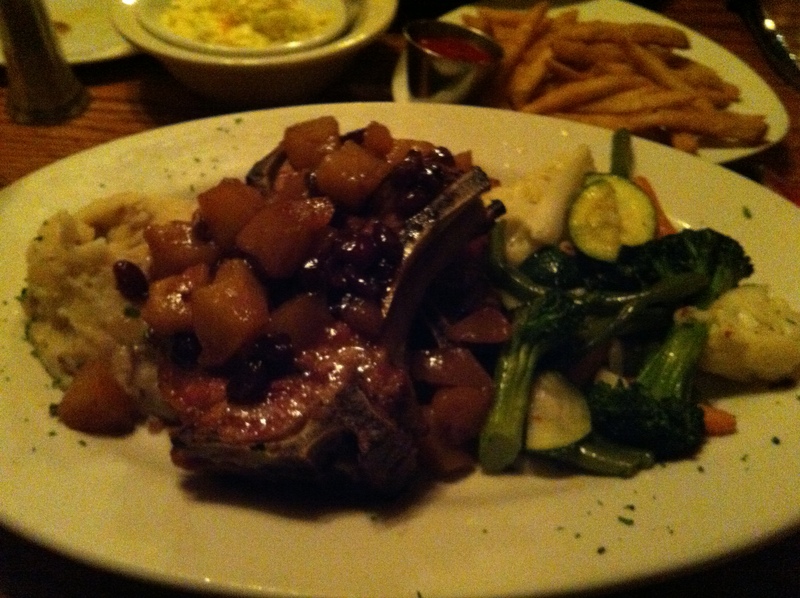 The chunky apple cranberry sauce complemented the tender grilled chops perfectly, and left me wanting more. 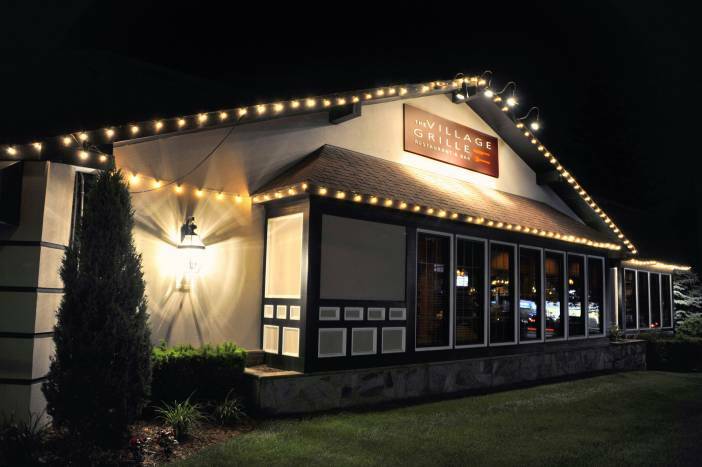 Overall , The Village Grille gets a decent report card from the Blue Collar Foodie. The prices are slightly high and unless we scored the Livingsocial.com deal we most likely would have had to reserve this restaurant for a special occasion. The staff had no problem with us using the coupon and there were no issues at all when it came down to paying the bill. Our total was supposed to be $77.00, including tax and tip, but thanks to social media and the internets we were able to take the Village Grille Tour for a mere $52.00. A while back, while I was still in college, I learned an extremely valuable lesson about expensive high end restaurants: I could not afford them. That statement still rings true almost a decade later, but now I have found a loophole that I can leap through in order to dine at some of the area’s best and most lavish fine dining establishments on the cheap. This loophole is known to the foodie community as Restaurant Week, and it does not just happen in New York City anymore. Although the New York City Restaurant week is the most recognized Restaurant Week event in this area, many smaller communities participate in their very own. The rules vary for these events, but are usually similar to the New York City event, a three-course tantalizing special menu that shows off the chef’s talents for one low, low price, otherwise known as a Prix Fix menu; a complete meal offered at a fixed price. These set prices differ from event to event, but they always promise huge savings. Kat and I are always game for these events because we get to try amazing food at reasonable prices, so when we see an event occurring somewhere close, we don’t mind a small commute. We were informed by another couple that The Hudson Valley Restaurant Week event was scheduled for March 19 to March 30 and we immediately agreed to go. Another fun part of a Restaurant Week event is deciding on which eatery that you plan on choosing. Most of these events have dozens of restaurants to choose from while others like the New York City event and the Hudson Valley event have hundreds. Choose wisely and you will have some of the best cuisine that your taste buds have ever had the privilege to absorb, choose poorly and you will be stopping at Burger King on the way home with an empty wallet and an empty stomach. Choosing the restaurant you eat at is a very important task when dealing with Restaurant Week events. 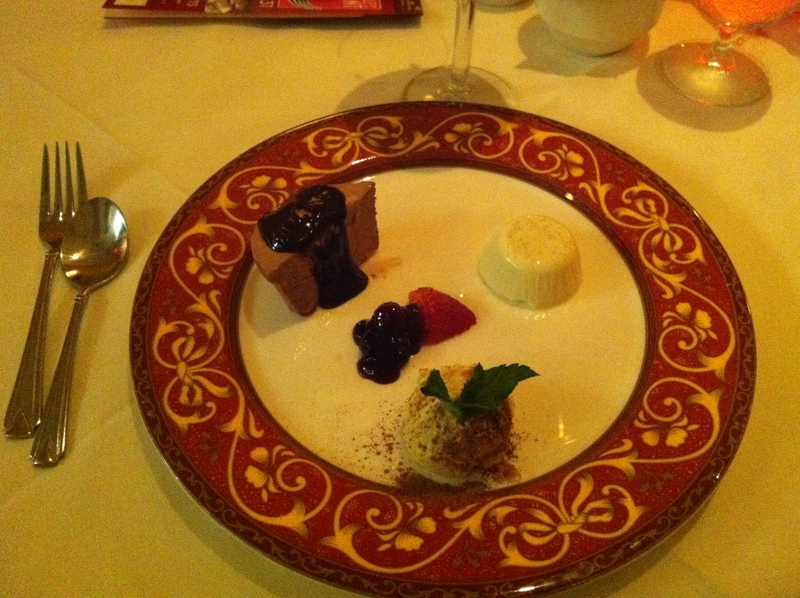 This year the Hudson Valley Restaurant week eatery that we decided to dine at was Marcello’s Ristorante of Suffern, NY. Most places that participate in these events will allow you to peruse the event menu prior to making a reservation; this is an essential step for choosing a good restaurant that matches the needs of the group that will be in attendance. I am usually a stickler for seeing that they offer a variety of proteins that allow people with allergies or biases to still have an enjoyable time. I can also not stress the importance of reading reviews online, to find out the dress code, the quality of the food, and any other concerns you might have before making a reservation. Although Restaurant week can be much cheaper than eating at these restaurants on a regular Friday night, in this case the price of $30.00 is still somewhat expensive for the Blue Collar Foodies of the world and therefore this small amount of effort in selecting a restaurant can go a long way in providing a great event evening. 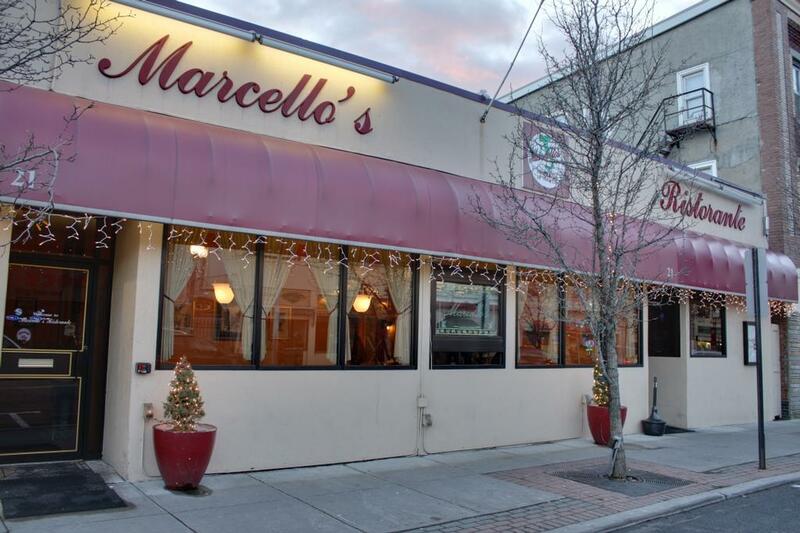 After reading the menu that Marcello’s had to offer, seeing nothing but outstanding reviews on the Googles, and listening to our fellow diners — who have been to Marcello’s a few times — rave about this establishment, the decision was a no brainer. Now the only thing left to do was make the reservations, which also must follow the rules of the restaurant during the Restaurant Week Event. When calling to make a reservation, you should inform the employee that you are attempting to reserve a table for a night that they are participating in Restaurant Week. Some establishments have very few rules; others have more rules than pre nuptial agreements of the rich and famous. The standard law is that most restaurants only offer their Restaurant Week menus Sunday thru Thursday to drum up business during the week. We decided to go with a Thursday reservation at 7 p.m.
Thursday night appeared in no time, and we were off right after work to Marcello’s of Suffern, New York. We arrived at the restaurant a few minutes early and decided to have a few drinks at the bar. The six of us each had a cocktail and awaited our table’s readiness. Once our table was prepared we had a seat and were given the restaurant menu, with the regular menu. Note: some restaurants try to hide the restaurant week menu; don’t be afraid to ask them for it. While we were seated discussing the finer points of the Jets, home improvement, and the upcoming holidays, the wait staff delivered some delicious fresh bread to our table and took our order. I am a procrastinator in all things connected to my life and like to make my decisions on the fly, so I always read the menu fervently as the waiter makes his way around the table. This decision was an arduous task indeed due to the fact that all of the food described sounded awe inspiring. At the very last minute, I narrowed it down to two different entrees and asked the waiter to decide for me. I was wedged between the Salmon encrusted in a horseradish and the pan-seared Grouper over a ragu of Chickpeas, sweet peppers, tomatoes and leeks. The waiter used one profound statement to get me to make a decision for myself: you see salmon everywhere, when is the last time you saw grouper?With a nod of my head, I had agreed to order the Grouper as my Entrée. As for my appetizer, there was never any doubt that I was going with the Sautéed Snails with Mushrooms and Garlic in a delicious wine and tomato sauce. Kat is not an adventurous eater as most of the readers of this blog can attest to, but during Restaurant Week she has been known to shake up the status quo every so often. Kat decided to start her meal with the Warm Goat Cheese Salad — goat cheese on top of greens with walnut, apples, and sweet roasted peppers in a garlic lemon mustard dressing. 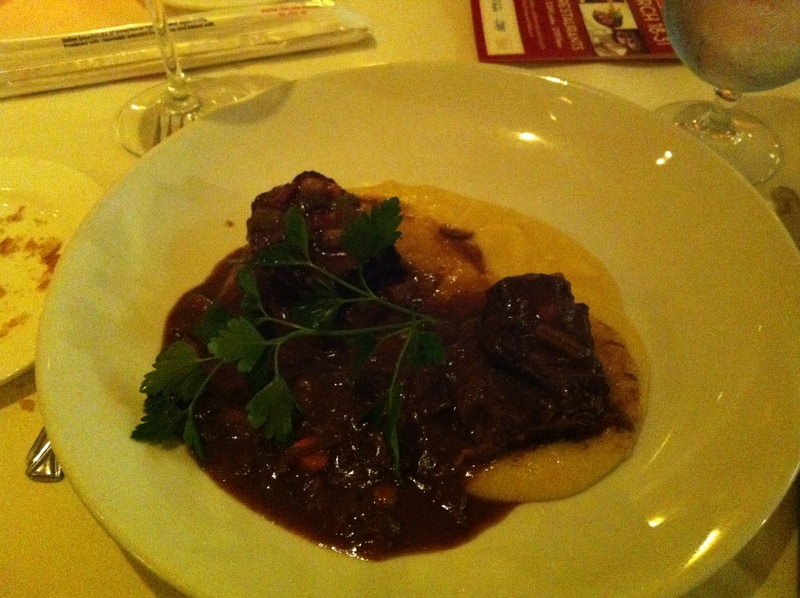 As for her entrée, Kat went with the Braised Beef in Chianti wine & vegetable sauce served with polenta. Although the salad and the beef were expected, the polenta and the goat cheese were quite crazy for my wife. The pleasant dinner conversation continued between our three couples as we imbibed some alcohol and waited for our first course. When it did arrive, it was magnificent — at least mine was. 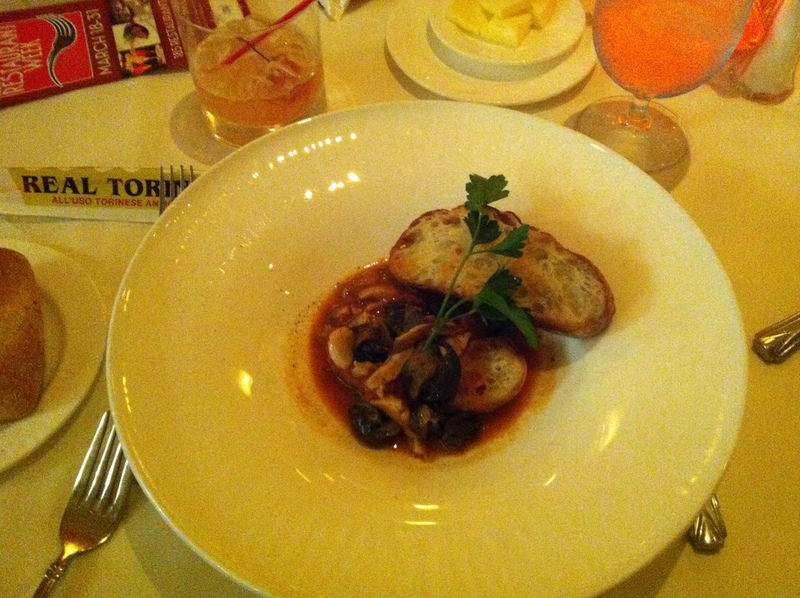 I was given a generous portion of tender snails swimming in a flavorful tomato and garlic sauce. Snails are a very hard dish to get right and I have had some good attempts as well as some bad attempts at this dish. This dish rivaled the snails that I had in France that started me on my snail kick. They were not stringy or gummy, which can happen when they are overcooked, and they were not mushy and slimy, which tends to happen when they are undercooked. As in the story of the three bears, these snails were just right. 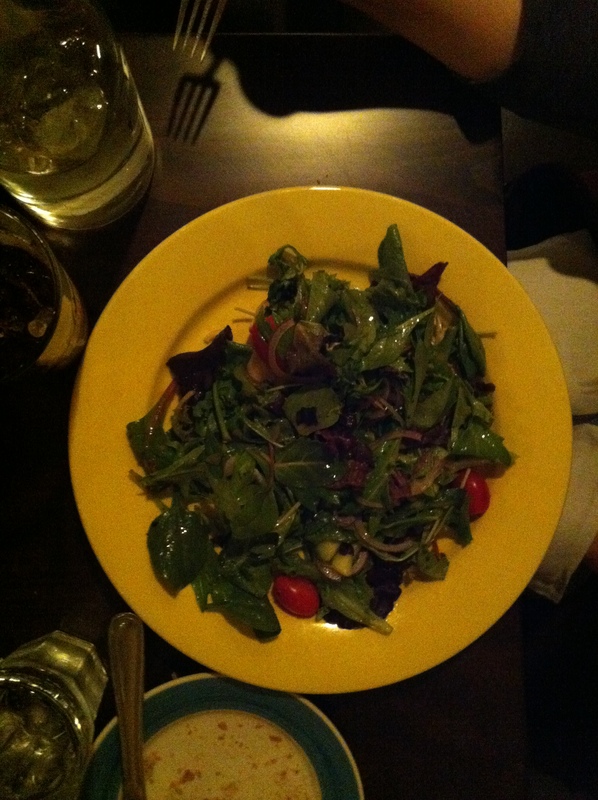 Kat’s salad was enormous and looked like they had just picked the greens from the garden. The goat cheese was delivered in a small fried patty that I was afforded the privilege to taste and it was stupid good. The crust was crispy and the goat cheese melted in your mouth, mixed with the greens it was heavenly. Kat enjoyed it as well; especially the dressing which, in her words, was subtle and delicious. Out of the six of us that were dining, only one other got something different than the snails or the salad, and that dish was the homemade potato gnocchi with venison ragu. I was also able to try this tempting dish, and it was tasty. The venison must have been cooked for more than 8 hours, because it was extremely tender and fell apart at the slightest touch. The gnocchi itself was also fantastic, and complemented the rich vibrant taste of the ragu. 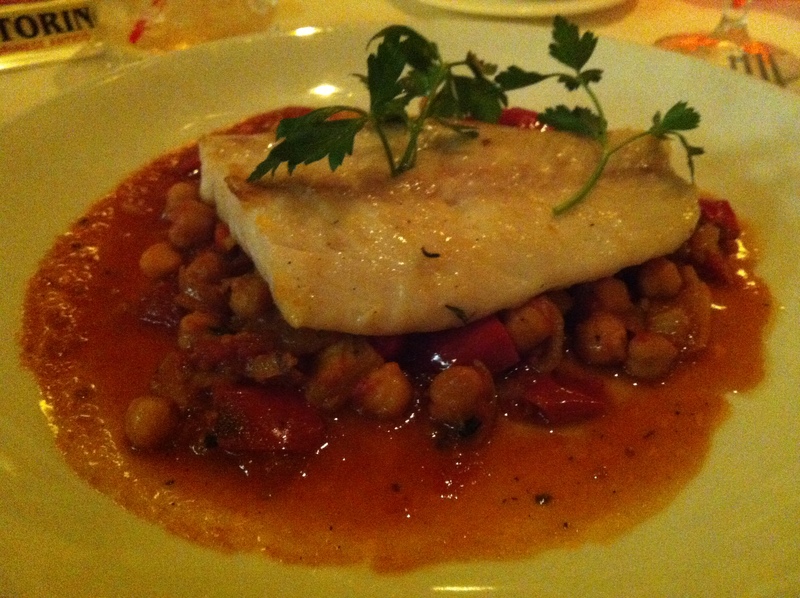 When my entrée came out I was astonished by the portion size of my grouper. It was bigger than most pieces of fish that you get when you are dining out and the quality seemed superb. The grouper married with the ragu flawlessly and I cleaned my plate before it even had a chance. Kat’s braised beef was smothered in a savory sauce that not only tasted great on the beef but paired well with the polenta as well. There was a small hiccup in the kitchen which caused one of our meals to be delayed, but it was rectified within five minutes. After dinner was complete, the waiter brought a combination dessert platter for all us that was included in the Restaurant Week price. We all got a small portion of Semifreddo — which literally translates to half cold in Italian — tiramisu and custard. All three of these desserts were wonderfully prepared and presented beautifully. Valet parking from 6:00pm Tuesday to Saturday only.